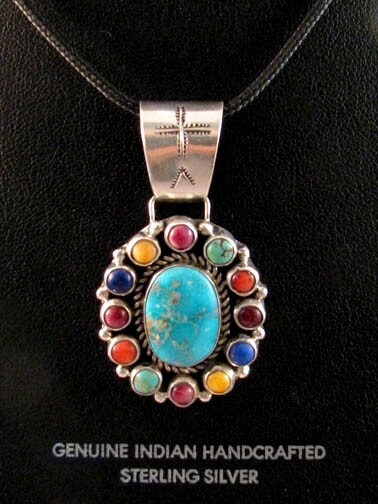 This precious multistone pendant features authentic Gaspeite, Purple & Orange Spiny Oyster, Lapis & Turquoise stones. 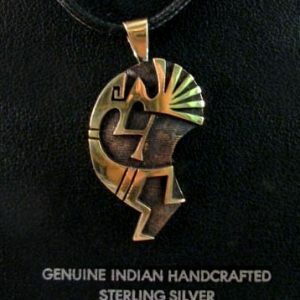 This pendant hangs on a large .625″ long bail. 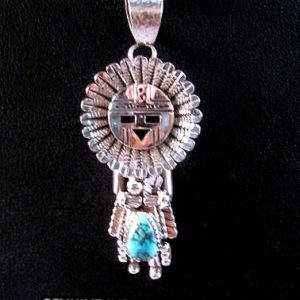 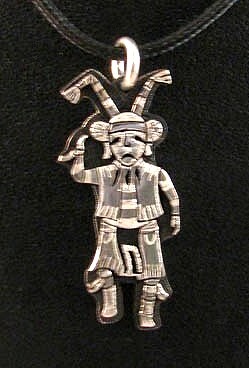 The pendant itself is 1.25″ long and 1″ wide and was handcrafted in sterling silver by Navajo silversmith Clarissa Lister-Hale. 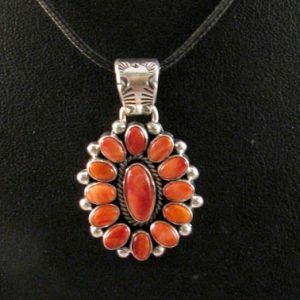 This beautiful piece hangs a total of 2.875 inches & comes on a black leather cord.